I was born in Dundee, Scotland in 1968 and after a young childhood spent around the UK, my family settled down in Newcastle upon Tyne. It was here that I grew up and as a young lad with the strong feeling of being Scottish (and being reminded regularly of my accent). I never really noticed that I had become a Geordie until I went to (of all places, you might say!) Sunderland Polytechnic. By that time I had already met my future wife and had fallen in love not just with her but with what I can only describe as my home; my city (Newcastle) and my county (Northumberland). It is a strange path that took me took me from Environmental Studies at Sunderland to an MA in Anglo-Saxon Studies at Newcastle, but the route was always via writing and to a large part reading as well. My inspirations are largely in Fantasy and to a lesser extent Sci-Fi, but in my early twenties I gained a fascination for all things Arthurian in fiction, stemming from reading Mary Stewart's The Crystal Cave. There came a point however when there were only so many retellings of the same material you could read and so I looked around and found that there was a body of other books set at around the same time but without the divisive and restrictive figure of Arthur. The most influential of these was Ragnarok by Anne Thackerey, a book that took me away from my cosy Celtic Twilight romanticism into the cold dawn of Anglo-Saxon expansion. I found that I was more at home there, for of course I was back full circle to The Hobbit, the first book that I can remember being read to me (thanks George!). It became clear to me that this was something I needed to know more about. As someone who has always been a writer, it opened up new avenues. 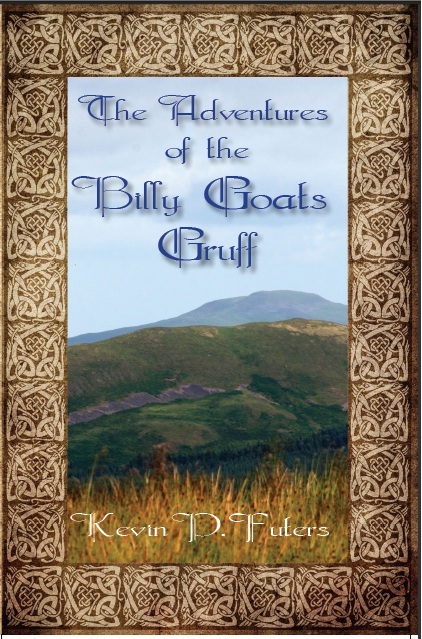 A book that I was anxious to write gained Anglo-Saxon elements before being dropped in favour of a new concept, which in time would become "The Adventures of the Billy Goats Gruff." I still go for romanticism (but not necessarily romance) by the bucketload but I hope that I have picked up enough of a respect for my favoured period so that I do not ride rough-shod over period detail. I never cease to rail against depictions of peoples and events that are just the way that Hollywood sees history. I am currently looking for a publisher for my latest work, which follows the life of a Welsh bard through success, failure and slavery to become an influential scop amongst the English. Once this has been completed, I have several ideas for new books awaiting their time to flourish. The rest of the blurb on my book says that I live with my wife, four children and two lurchers, but that is only part of the story and those details themselves are already a little out of date. Let us say it is still close enough to represent the truth of the situation. "How can we possibly get a troll maiden to kiss one of us?" asked Edgar in despair. "It would be hard enough if we still wore the form of men, but in this shape it would be simple folly." Three brothers, members of the royal house of Dere in northern England, are cursed to take the form of goats. They learn that to break the spell one of them must kiss a troll maiden. Things get off to a bad start when Edgar, the eldest, kills a bridge warden on the border of Trolldom, because they soon learn that trolls have families too. Edgar talks to a young shepherdess, but he cannot persuade her to kiss him. Then he learns that the girl is the cousin of the troll he has killed, and he has to avoid capture. They decide to cross the hills, away from this close-knit community. The younger brothers, Bert and Frith, soon learn that Edgar is becoming more like a goat and less like a person. Their path crosses the domain of Gamol Gameling, an elf lord, who challenges them to answer some riddles that he does not understand. Their reward for helping is a quick path to the nearest troll dwelling where a troll maiden might be find. It is now Bert’s turn, and he is better prepared for the test than his brother had been. What he was not prepared for was a very protective father, nor the fact that the same troll was the brother of the troll killed by Edgar. Frith calls his fiercer brothers away and they flee once more into the uninhabited wastes. Here they throw off the troll’s pursuit but they draw the attention of a huge wolf who has been tracking them for some time. The wolf also has a story of transformation and he must kill the three brothers to break his curse. From here on it is Frith’s duty to keep his two brothers as human as possible and to stop them from fighting each other, for differences between them become reasons for antagonism. Frith guides them past many troll dwellings, for he knows that he only has this one last chance to succeed where his brothers have failed, for he must not only be kissed by a troll, he must win her heart as well. Will Frith convince a troll maiden to kiss him, or are the brothers be doomed to roam as goats forever?